Last week I had an opportunity to do something I truly enjoy. This past Thursday and Friday I worked with a group of smart business leaders at the Strategic Sales Academy. 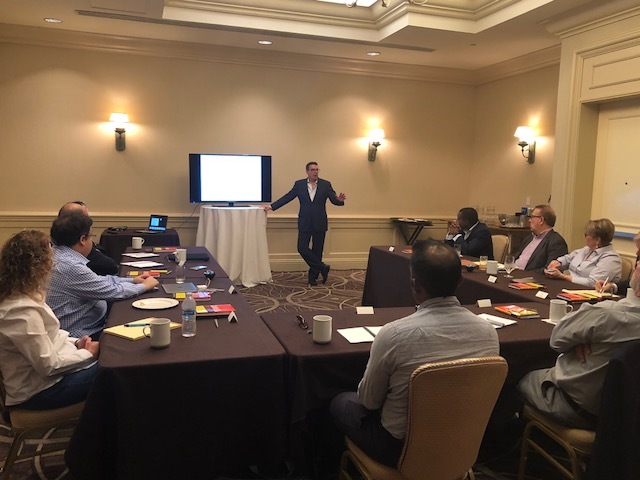 During our time together, I shared successful sales scripts, debunked some myths, and helped the attendees adapt my system to their business strategy. This – helping people make money and take control of their future – is something I love to do. When we wrapped-up at 5 PM on Friday I was even more excited than I was when the session began. Because at dinner that evening I heard all the ways the Strategic Sales Academy Alumni were going to implement these new skills. On Monday when I called to follow-up with everyone, I was blown away by how many of the attendees told me that my passion and enthusiasm was infectious. Each attendee was committed to taking action based on the information they learned because I SOLD them on their future. This is a point I cannot stress enough. Your passion is infectious. Simply presenting something to a prospective client and telling a story might work. Delivering a compelling presentation with conviction is how you influence people. One: You are passionate about what you are providing and the power of it to help your client. Two: You are open to sharing that passion with your prospective clients. So what do you do, if you don’t feel that passion? Life is too short to sell something you cannot get excited about. From the time you walk into the room, everyone should see, hear, and feel the enthusiasm you have for the value you provide. Your words merely confirm what everyone already knows: You want to help and you believe you have the best possible solution for them. Sell with your passion and every day you will be fired-up to get to work. By the way, we are hosting the Strategic Sales Academy again in October. This is going to be an annual event and our Alumni will be coming back to share their success stories (80% of them have already registered).